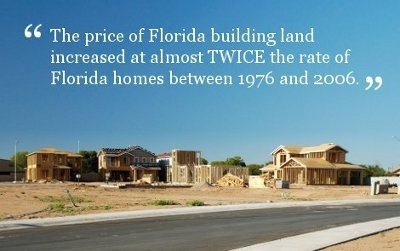 Fairhomes Land's amazing prices for real estate and property in Florida start at only $17,000. If you are looking to buy prime real estate in the Orlando and Central Florida (Lakelands) area then our "build-ready" land plots are a great opportunity. 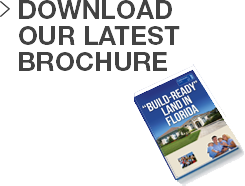 Florida Real Estate Price ComparisonFairhomes' latest great product is "Build-Ready" land in central Florida. Bought direct from the bank, these foreclosed plots of land have roads, electricity, water and sewerage. Every plot has planning permission (meaning they are zoned for residential building) and can be built on straight away once you´ve got the go-ahead for your detailed house design. The land can be used to build a family home or simply held for future resale. 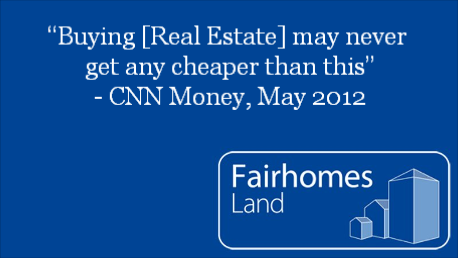 CNN Say Real Estate Won't Get Much CheaperFairhomes Land is an international developer with 20 years experience in buying and selling distressed property and real estate assets. We specialise in taking bargain-basement real estate and turning them into profitable ventures. As part of this process we have acquired plots of build-ready land for sale in Florida. For more details on our real estate in Florida please complete the form below to download a brochure and receive the latest pricelist.